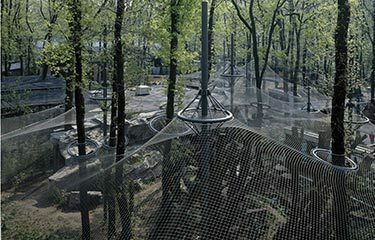 Designers of Zoological Enclosures strive to create artificial, but realistic ecosystems within discrete net structures carefully designed and embedded in the surrounding topography. 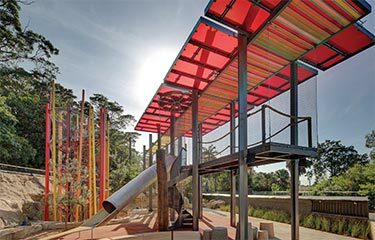 Ronstan tensile cable enclosures for zoos utilize Carl Stahl X-TEND stainless steel mesh fabric as the ultimate transparent net structure. The mesh becomes part of the primary load carrying structure, sharing the load and enabling the optimization of other primary structural components. 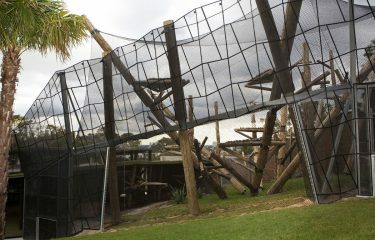 Without any interfering substructure, the fine cable mesh fabric allows an open view into the wildlife habitat. 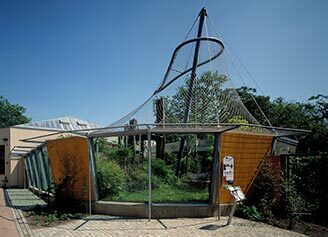 The wire mesh Marmoset Monkey enclosure at Halle Zoo in Germany perfectly illustrates why Carl Stahl X-TEND stainless steel cable mesh is so appealing for use in zoological enclosures. The Burgers’ Zoo in Arnhem reflects our fascination with nature. 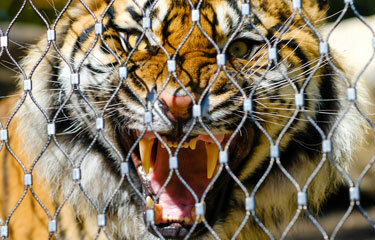 In the 1920’s, Johann Burger designed enclosures for carnivores as open and fence-free landscapes. Today, the Dutch zoo is leading in the application of artificial eco-systems.